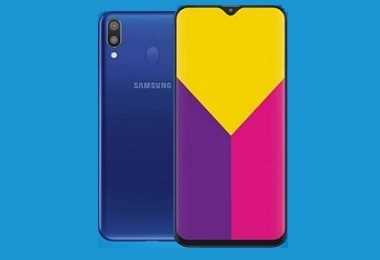 Latest price of Samsung Galaxy M10 16 GB in India was fetched online from Flipkart, Amazon, Snapdeal, Shopclues and Tata Cliq. Samsung started losing its market share in India due to the likes of Vivo, OnePlus, and OPPO who seem to have rightly understood the consumer demands. 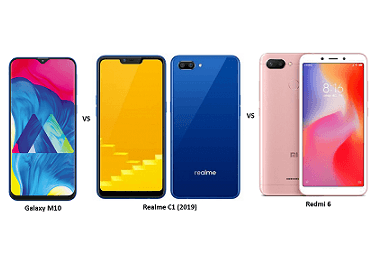 These Chinese manufacturers started regularly launching impressive smartphones, especially in the budget segment, to force the South Korean giant to refocus on the segment it once used to dominate. Samsung recently launched the Galaxy M series in a bid to reclaim its position in the budget smartphone segment. 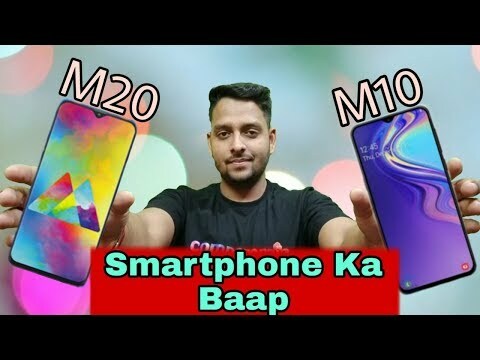 Galaxy M10, the cheapest offering in this series, is a power-packed device with all the features a common man would expect from a budget smartphone. Powered by 1.6GHz Exynos octa-core processor, it features 2GB RAM to help users switch between videos, games, browsing, and social media without any delays. The phone is available in two colour options - ocean blue and black. Samsung Galaxy M10 features a dual rear camera setup with Ultra Wide Angle Lens to help users capture more in the same frame. The primary rear camera is of 13MP and has an aperture of f/1.9 to help users take great pictures, especially if the lighting conditions are good. The performance under low lighting is decent too. On the front, the phone features a 5MP camera with an f/2.0 aperture for clicking beautiful selfies for social accounts. The phone also has an In-Display Flash to make sure that the selfies are clear and bright across every lighting conditions. 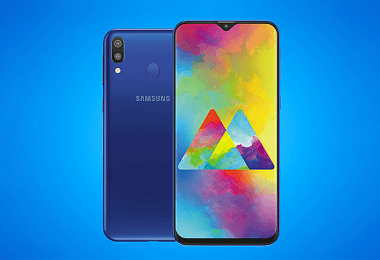 Galaxy M10 is available in two storage variants- 16GB and 32GB. It also has a dedicated memory slot which can support microSD cards of up to 512GB. The phone features a 3,400mAh battery which is not the best in this price range but definitely in line with most competitors. Most users agree that the phone can easily last an entire day on full charge. However, there is no fast charge feature which is now available in a number of budget smartphones. Samsung smartphones and Galaxy, in particular, are always known for their display. Galaxy M10 has a 6.22” Infinity V IPS LCD Display which is one of the most impressive features of this smartphone. It has a 1520x720p resolution and pixel density of 271PPI. With an aspect ratio of 19:9 and screen-to-body ratio of about 90%, the phone is sure to boost the viewing experience. Just like most of the recent budget releases from Samsung, Galaxy M10 is also a dual SIM smartphone with support for dual VoLTE. It has a 3.5mm jack, Wi-Fi, Bluetooth 4.2, and supports micro USB 2.0. 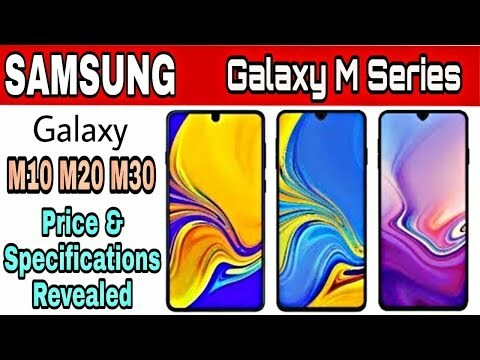 Other basic features include GPS, FM Radio, Face Unlock, Proximity Sensor, and Accelerometer which are commonly found in almost all the smartphones in the Samsung Galaxy M10 price range. The phone runs on Samsung's Experience 9.5 UI which is based on Android Oreo. Samsung claims that the UX has been optimised exclusively for the M Series of smartphones to provides a faster and smoother experience to the users.